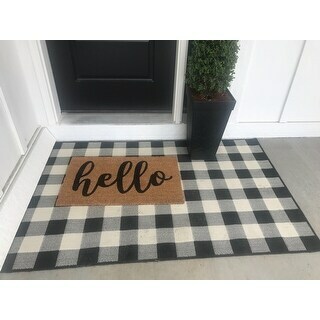 Love this rug it looks great outside my front door of our new home! I get compliments on it all the time! 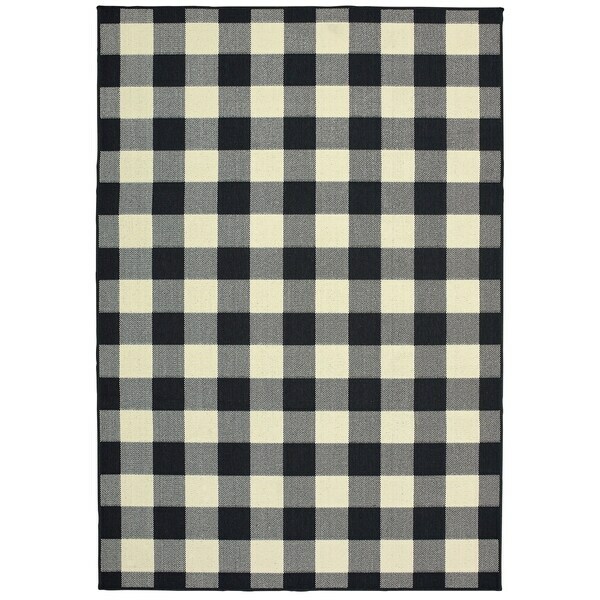 Gingham Check Black/ Ivory Loop Pile Indoor-Outdoor Area Rug - 1'9" x 3'9"
Dimensions 66.93 In. X 43.31 In. X 0.12 In. I bought two of these rugs and I love them. The colors were as described and as e pecked. They are a good quality and hold up well with my pug who sheds a lot so I vacuum daily. Very pleased for the price and I’m considering buying a 3rd for my office. Really pretty. Looks as pictured.